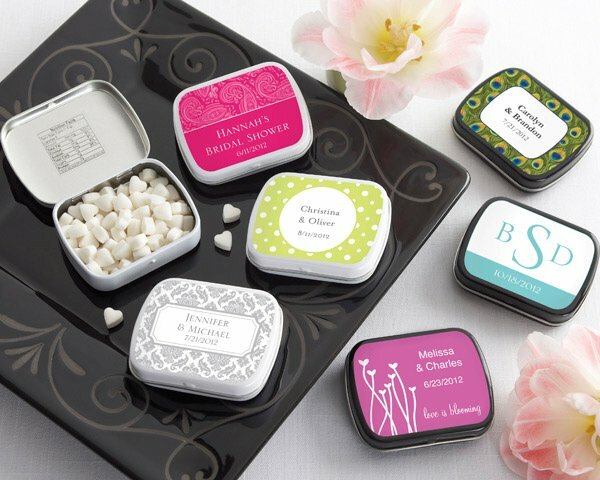 Give your guests a favor that is "mint" to show them how special they are! 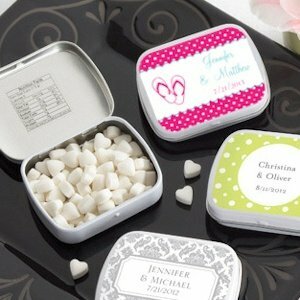 Our 2 1/4" by 1 1/4" by 1/2" mint tins are filled with tasty heart-shaped peppermints and finished with a personalized design. Choose from more than 165 design styles and colors during checkout. Please note: Personalized labels arrive unattached. So easy assembly is required to create these fun summer wedding favors. Do I have to put the stickers on? 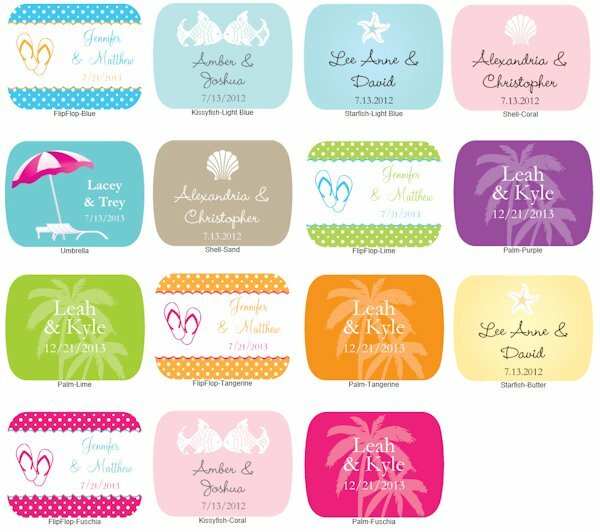 The personalized labels of these Personalized Summer Wedding Favor Mint Tins will arrive unattached, so you will need to apply them to each tin.